This ride starts out easy enough, across the flat Eel River Valley. A few small hills on the way to Rio Dell and Scotia will wake up the legs before riders reach smooth pavement on the Avenue of the Giants and Bull Creek Flats Road. Yes, that’s right — eight miles of historically bumpy asphalt on Bull Creek Flats Road and the eastern end of Mattole Road have been beautifully repaved all the way through the redwoods! Things get serious at Mile 38 when riders begin the seven mile climb up to Panther Gap, the high point of the ride at 2700 feet of elevation. And the adventure truly starts on the downhill to Honeydew and the trip north through the wild and scenic Mattole Valley. 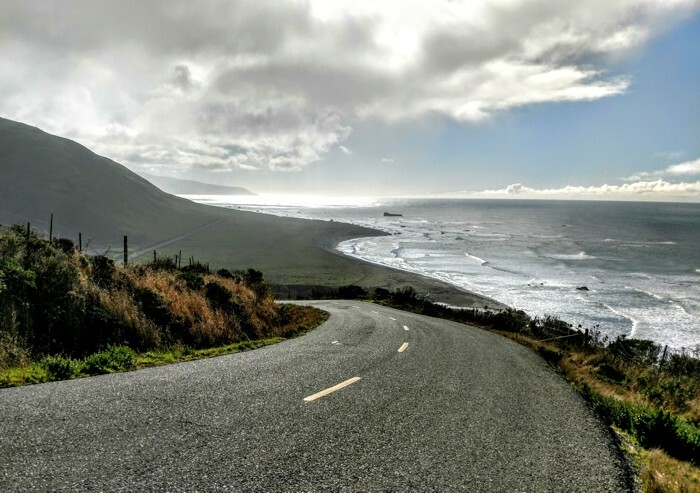 Rough pavement, the inevitable headwind along the coast and the formidable Wall and Endless Hills which stand between tired legs and the finish line in Ferndale make this one of California’s toughest 100 mile courses. Tour of the Unknown Coast Century riders are encouraged to set off before the 7 am mass start if necessary in order to finish in time to enjoy the post ride festivities. The post ride meal will be served until 5 pm. Riders not on pace to finish by 7 pm will be sagged forward. and these fine Humboldt County businesses.